In addition to its role as a declaration and reminder of our faith, the mezuzah is also a symbol of G‑d’s watchful care. The name of G‑d, Sha-dai, which appears on the reverse side of the parchment, is an acronym for the Hebrew words which mean “Guardian of the doorways of Israel.” Placing a mezuzah on the doors of a home or office protects the inhabitants—whether they are inside or out. For more information see What Is a Mezuzah? and The Scroll Inside. 2. Which Rooms Require a Mezuzah? 3. How to Get Kosher Mezuzahs? 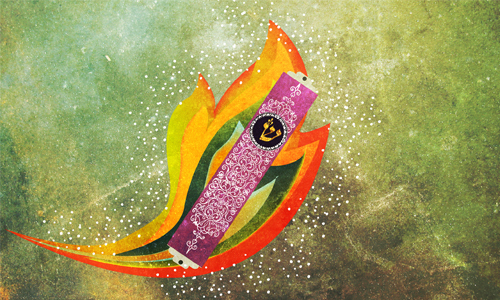 Kosher mezuzah scrolls, one for each qualifying doorway in your home or office. Protective cases in which the rolled parchment scrolls are inserted. A measuring tape and pencil to mark the spot on the doorpost where the Mezuzah is to be affixed. Hammer and nails, screws and a drill, or as a last resort, an industrial-strength glue or double-sided tape, with which to affix the mezuzah. A printout of this page with the instructions and blessing. Before you go out to purchase your mezuzahs, you need to figure out how many your house requires. Which doorways need a mezuzah? A mezuzah is affixed to every doorway in your home or office that leads into a proper room, except for the bathroom. What qualifies as a "room"? Any enclosed space that's at least 6.5 ft. x 6.5 feet. This includes vestibules, hallways, large walk-in closets, etc. If there are several doorways leading into a room, each doorway requires its own mezuzah. Doorways without doors (e.g., archways between rooms) also require a mezuzah. Count the doorways that qualify to determine the number of mezuzahs you need. For more information see Which Rooms Require a Mezuzah?. Some basics: The mezuzah must be hand-written by a competent ritual scribe on specially prepared parchment with the specific types of quill and ink mandated by tradition. All too often, printed or improperly prepared mezuzahs, or even empty cases, are fraudulently sold. So make sure to purchase your mezuzahs from a trusted religious source, or ask your rabbi for help. The mezuzah scroll is rolled from left to right and placed right-side-up in a protective case. If you will be putting your mezuzah into a case, carefully insert it in a way that the letter Shin will be upright and facing toward the doorway. Also take care that the role not be pinched or bent in the process. For more information see The Scribal Art. A mezuzah is affixed on the right doorpost, approximately, at the bottom of the top third of the doorpost. For the front door, the right doorpost is the doorpost to the right of the person entering from the street. In internal doorways, it is the doorpost to the right of a person entering in the direction towards which the door opens. If there is no door, think about importance and function: the dining room is more important in the hierarchy of the home (it's used more formally) than the kitchen, so in a doorway between the dinning room and the kitchen, the mezuzah should be on the right of the person entering the dining room. To determine the proper height at which to affix the mezuzah, use a measuring tape to get the total height of the doorpost. Divide it into three, and measure that amount from the top of your doorpost. Use a pencil to mark the spot. Your mezuzah should sit right atop that mark. For more information see Affixing the Mezuzah. You are now ready to affix the mezuzah. The blessing is recited once, before putting up the mezuzahs. You will put up the first mezuzah on one of the most important doorways in your home, such as your bedroom. Have the mezuzah and tools in hand. As you recite the blessing, keep in mind that it applies to all the mezuzahs you will presently affix in your home. Blessed are you, L-rd our G‑d, King of the Universe, Who has made us holy with His commandments and commanded us to affix a mezuzah. The mezuzah must be permanently attached to the doorpost. Use hammer and nails, glue, or a durable double-sided tape. 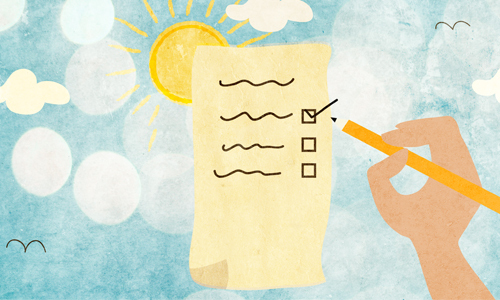 Position the mezuzah above the one-third mark you've made. It should be towards the outer edge of the doorpost, on a slant with the top pointing inwards to the room. Immediately after reciting the blessing, affix the mezuzah. Do not allow interruptions as you then proceed to the remaining rooms in your home. Remember to affix each mezuzah according to the above-mentioned specifications. You have now affixed the mezuzahs. 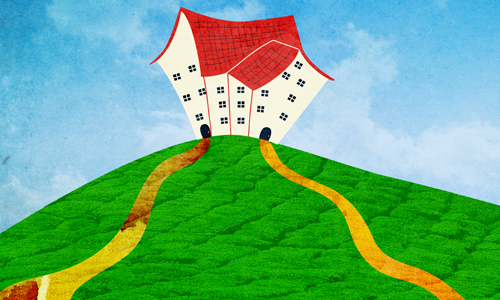 Your home proudly displays its Jewish identity, and you've tapped into this unique spiritual connection. But you're not finished yet. 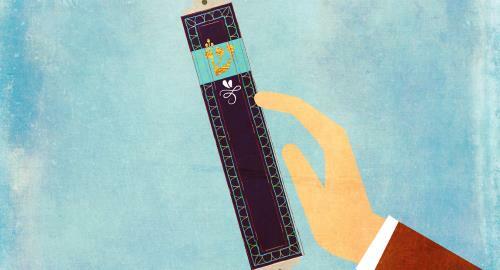 The mezuzah is a holy object that must be properly maintained. At least twice in seven years, we take down our mezuzahs and have them professionally checked to ascertain that they are intact. The scribe examines the scrolls to ensure that no letters have been cracked or erased and that the mezuzah is still good. Our vigilance keeps our mezuzahs performing their function: bringing holiness, protection and merit to our home. For more information see Caring for your Mezuzah and Check Your Mezuzahs!. If you do not know who will be taking over the office, you may take it with you. If work is being done to the doorway, then mezuzah can be removed until the work is done. 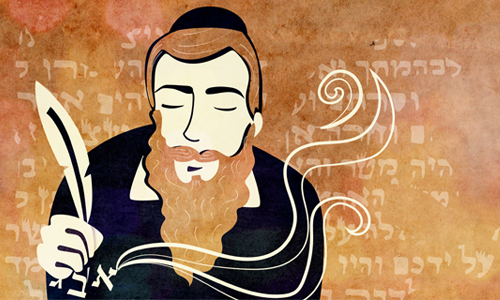 A-do-nai and E-lo-hay-noo mistranslated As always, Chabad articles on Judaism are wonderful and Chabad does a tremendous job in helping Jews understand their faith. I believe you say it once for all of the mezuzahs that you are going to put up, but try and have in mind while reciting the bracha that it will be for all of the mezuzahs. 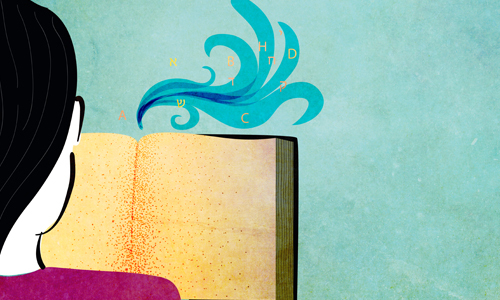 Bracha when replacing Mezuza What is the source for following statement?